The Exchange parnership consists of 21 HEIs and cultural organisations from all over England. With around 23,500 students from 80 countries, Birmingham City University is a large, diverse and increasingly popular place to study. We put students at the heart of everything we do. Canterbury Christ Church University is a vibrant community of over 19,000 students and staff. Inspired by our Church of England Foundation, we believe that education changes lives for the better. De Montfort University has an international reputation in arts, design, literature, creative writing, drama, film, music and journalism. 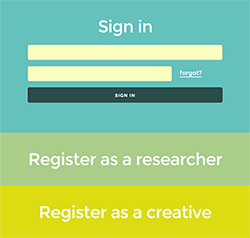 It prides itself on its interdisciplinary projects and commitment to practice-based research. Falmouth University is a specialist creative multi-arts institution for rethinking convention and outthinking challenges. At a time when conventional thinking doesn’t work any more, it’s a potent formula. Fossbox works participatively with organisations to design community projects and services, promote and support collaborative organisation, draw out the value of your work and communicate it to others. ITC is a community of over 400 companies and producers spread across the UK, working in drama, dance, opera and musical theatre, mime and physical theatre, circus, puppetry, street arts and mixed media. With a vibrant community of 25,000 students from over 100 countries, 2,500 staff and 250 degree courses, Liverpool John Moores University is one of the largest, dynamic and forward-thinking universities in the UK. We offer academic excellence in a broad range of disciplines, from sport and exercise science to engineering, business and the arts. We pride ourselves in delivering outstanding opportunities. The Centre for Enterprise at Manchester Metropolitan University is passionate about research – and even more passionate about taking that research and turning it into practical knowledge. People Dancing is the UK development and membership body for community and participatory dance. People Dancing provides leadership and holds the national vision and strategic overview for participatory dance. Through creative learning and research we build a culture of ingenuity, diversity and distinctiveness, that has benefits beyond the faculty, the University and out into the community, industry and economy at large. Sound and Music is the UK’s leading development agency for new music and a charity. Our mission is to maximise the opportunities for people to create and enjoy new music. The School of Arts, University of Surrey includes Dance, Digital Media Arts, Music, Sound Recording and Theatre, the Lewis Elton Gallery, the University’s TV studio and the Guildford School of Acting. The University of East Anglia (UEA) has once again been rated as one of the best universities for student experience in the Times Higher Education Student Experience Survey 2015. The University of Exeter is an ambitious, strongly interdisciplinary, international university. We work together in a vibrant community of staff, undergraduate, masters and research students. At Northumbria University our inspirational academics, outstanding facilities and extensive partner network means we offer exceptional opportunities to learn and give your career an edge. The Oxford Research Centre in the Humanities stimulates, supports and promotes research activity of the highest quality that transcends disciplinary and institutional boundaries.